We developed a method to estimate the 3D shape of black specular object. We estimated the surface normal of the object by observing the polarization state of the light from multiple view, where the object is illuminated from whole direction. The problem that the solution is not unique if we use only the polarization analysis is solved by using the 3D shape of space carving. We developed a fundamental technique for metamerism art. Under the mixed light 1, the paint 1 and the paint 2 are aimed to be same. Under the mixed light 2, the paint 1 and the paint 4 are aimed to be different. In addition, the mixed light 1 and the mixed light 2 are aimed to be same. 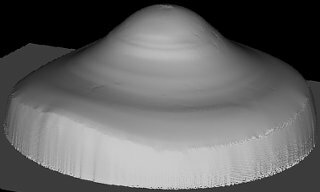 We use additive mixture model for the mixed light. The proposed algorithm automatically finds the proper weight of each LED from the LED database that causes the metameric phenomena. We developed a fundamental technique for metamerism art. Under the light 1, the mixed paint 1 and the mixed paint 2 are aimed to be same, and the mixed paint 3 and the mixed paint 4 are aimed to be same. In addition, the mixed paint 1 and the mixed paint 2 are aimed to be brighter than the mixed paint 3 and the mixed paint 4. Under the light 2, the mixed paint 1 and the mixed paint 4 are aimed to be same, and the mixed paint 2 and the mixed paint 3 are aimed to be same. In addition, the mixed paint 1 and the mixed paint 4 are aimed to brighter than the mixed paint 2 and the mixed paint 3. We use subtractive mixture model for the mixed paint. The proposed algorithm automatically finds the proper weight of each paint from the oil paints' database that causes the metameric phenomena. We developed a fundamental technique for metamerism art. Under the light 1, the mixed paint 1 and the mixed paint 3 are aimed to be same, and the mixed paint 2 and the mixed paint 3 are aimed to be different. Under the light 2, the mixed paint 1 and the mixed paint 3 are aimed to be different, and the mixed paint 2 and the mixed paint 3 are aimed to be same. We use subtractive mixture model for the mixed paint. The proposed algorithm automatically finds the proper weight of each paint from the oil paints' database that causes the metameric phenomena. We developed a method to remove the haze in images. 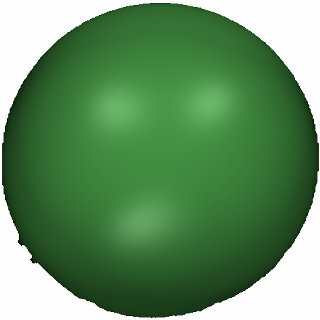 Haze is removed by analyzing the polarization of the state using the theory in physics. Haze parameters are estimated by comparing the input images and the reference images. We have developed a sharpening method of 3D shape. We sharpenedthe 3D shape by applying 3D LoG (Laplacian of Gaussian) filter to the 3D shape. At the preprocessing stage, we have an option toapply 3D bilateral filter in order to remove the noise. In case when we have to compare the edge intensity between two sets of 3D shape, we applied 3D edge filter. We have developed a 3D shape measurement method of opaque objects. We removed the shadow and the specular reflection using the principal component analysis, estimated the light source direction using the singular value decomposition, and estimated the surface normal of the object using the photometric stereo. 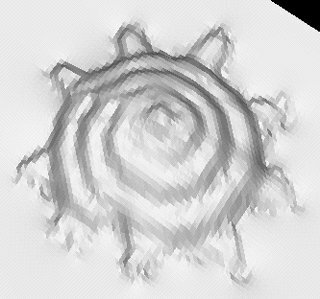 Shadow and specular reflection are removed by iteratively computing the principal component analysis. 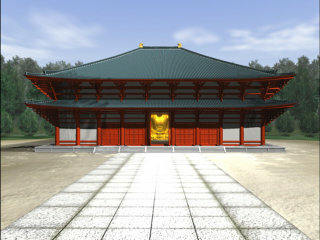 Light source direction is estimated from the images and the shape obtained by 3D laser range sensor. 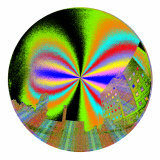 We have innovated a basic framework of metameric artistic illusion. We reproduced the phenomena that two different paintings can be perceived as a same color under a certain light. The proposed algorithm automatically finds the proper weight of each paint from the oil paints' database that causes the metameric phenomena. 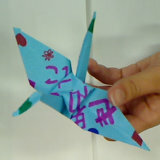 We developed a method to produce a 3D virtual model of origami crane. We detected which orientation the texture will appear on the crane through the observation of the user's process of folding the crane. 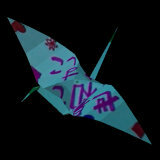 We represented the virtual origami crane which is almost the same as the real origami crane drawn by the user in a real world by mapping the texture to the 3D shape. We developed a method to remove the shadow area in an image. We removed the shadow of single image using a hierarchical graph cut which is faster than alpha-expansion method. The users can interactively specify the region where they want to remove the shadow. Daisuke Miyazaki, Yasuyuki Matsushita, Katsushi Ikeuchi, "Interactive removal of shadows from a single image using hierarchical graph cut," IPSJ Transactions on Computer Vision and Applications, vol. 2, pp. 235-252, 2010. We developed a method to acquire the 3D shape of opaque objects. We estimated the light source directions using SVD (singular value decomposition), and estimated the surface normal using the photometric stereo. We iteratively computed the SVD so that it will be less sensitive to shadows and specular reflections. We developed a method to acquire the 3D shape of opaque objects. We improved the photometric stereo using the graph cut method so that it will be less sensitive to shadows and specular reflections. We developed a method to acquire the 3D shape of opaque objects. 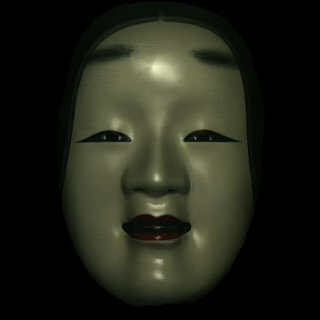 We improved the photometric stereo method so that it will be less sensitive to shadows and specular reflections. We developed a method to recreate the appearance of objects. We separated the specular reflection component and the diffuse reflection component by polarizers. We represented the reflection of the object by reflection model. We compressed the image data with wavelet transform. We analyzed a polarization of the sky. Sunlight polarizes when it is reflected at aerosols. 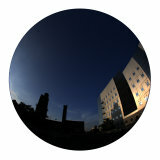 We measured the polarization state of clear sky and cloudy sky with fish-eye lens and polarizer. We developed a method to acquire the 3D shape of transparent objects. We observed the polarization state of the light reflected/transmitted at the object, and we obtained the surface shape of transparent objects by solving the inverse problem of polarization raytracing. Rodin is the most celebrated sculptor of the 19th century, who is famous with his works such as The Gates of Hell, The Thinker, and The Burghers of Calais. In this project, we obtained a 3D geometrical model of The Burghers of Calais, which is placed in National Museum of Western Art, Ueno, Tokyo. We also verified the historical fact that Rodin created The Burghers of Calais by reusing the same shape in the different part of this work by using the same cast. We developed a device to acquire the polarization state of the light. 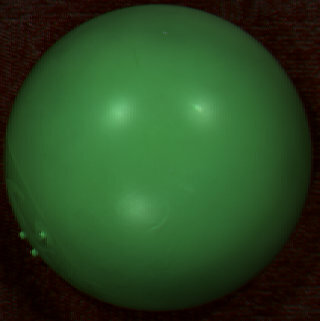 We used the material called PLZT which is controllable from the computer, and we obtained the Stokes parameters which represent the polarization state of the light. We developed a method to estimate the reflection parameters of the object surface such as object color and surface roughness. We decomposed the specular reflection component and the diffuse reflection component easily by polarization analysis. We developed a method to acquire the 3D shape of transparent objects. 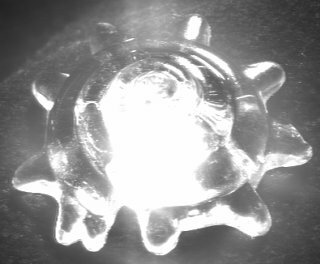 We observed the polarization state of the light reflected on the object surface from two views, and we applied region segmentation and detection of corresponding points, finally, we obtained the surface normal of transparent objects. We obtained the 3D shape of the object by analyzing the images observed from single view through a polarizer. Then, we estimated the illumination distribution from specular reflection image, and we also estimated the reflection parameters such as object color and surface roughness. 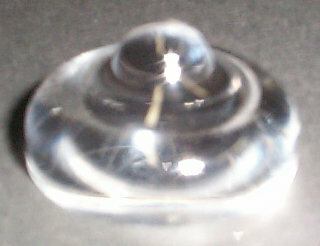 We developed a method to acquire the 3D shape of transparent objects. We obtained a candidate of surface normal by observing the polarization state of reflected light in visible light domain. In addition, we observed the polarization state of thermal radiation in infrared light domain, and finally, we obtained the surface normal of transparent objects. 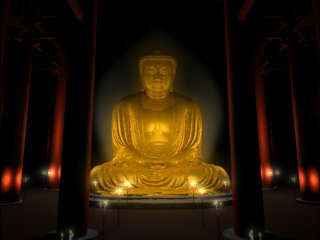 We digitally preserved a Great Buddha of Kamakura. 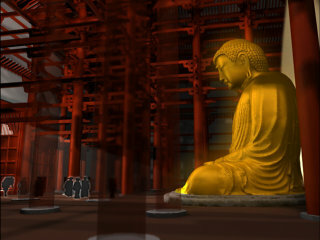 We scanned the buddha from many views by 3D laser sensor, and aligned those range data, and merged into a mesh model. 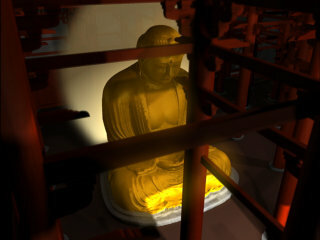 We also synthesized CG image of the buddha whose in the era when it was built, who was covered with gold leaf and settled in a daibutsu-den building.